This section shows you how to use the Amazon Rekognition console to detect faces and analyze facial attributes in an image. 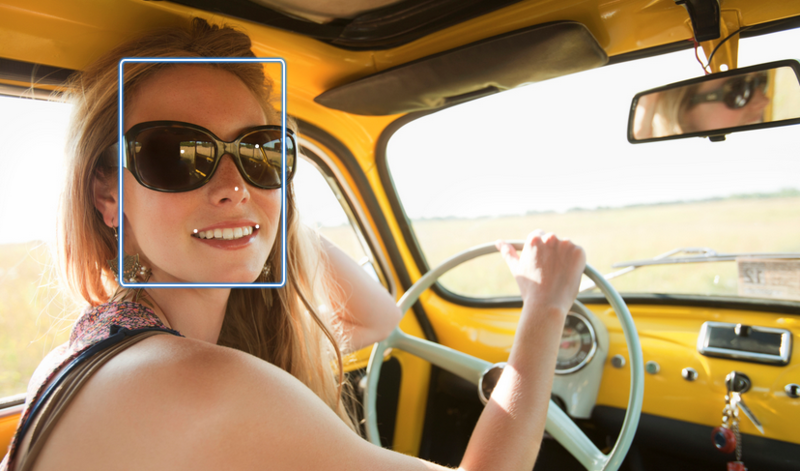 When you provide an image that contains a face as input, the service detects the face in the image, analyzes the facial attributes of the face, and then returns a percent confidence score for the face and the facial attributes detected in the image. For more information, see Amazon Rekognition: How It Works. For example, if you choose the following sample image as input, Amazon Rekognition detects it as a face and returns confidence scores for the face and the facial attributes detected. The following shows the sample response. If there are multiple faces in the input image, Rekognition detects up to 100 faces in the image. Each face detected is marked with a square. 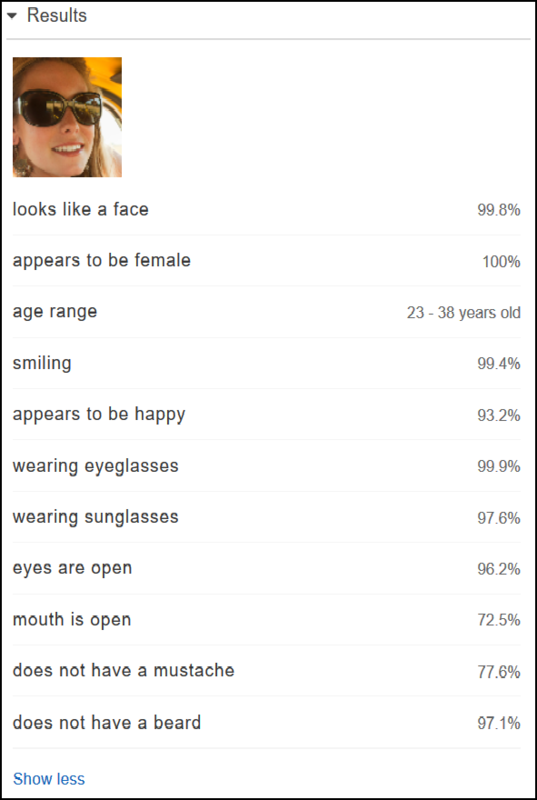 When you click the area marked with a square on a face, Rekognition displays the confidence score of that face and its attributes detected in the Faces | Confidence pane. You can upload your own image or provide the URL to the image in the Amazon Rekognition console. View the confidence score of one the faces detected and its facial attributes in the Faces | Confidence pane. If there are multiple faces in the image, choose one of the other faces to see its attributes and scores.